…This morning we had another memorable experience: Tony got us up at 4:30 am to see Bennett’s comet, which is visible in the east at this time. This is believed to be a new comet, and is an extraordinarily beautiful sight, with its huge tail trailing. Can you see it from New Zealand? 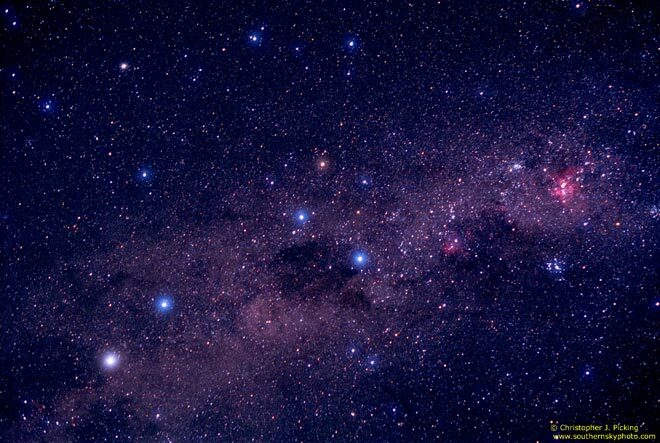 Since I was a child, learning from my father how to find due south from the Southern Cross and its Pointers, I have been fascinated by the night sky. In my homeland of New Zealand I could point out some of the interesting phenomena: the Coalsack nebula, the Magellanic Clouds. 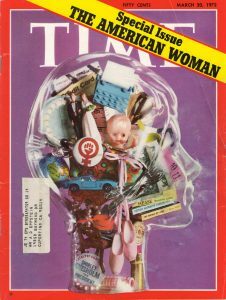 An immigrant to the Northern Hemisphere I was still learning the northern sky. 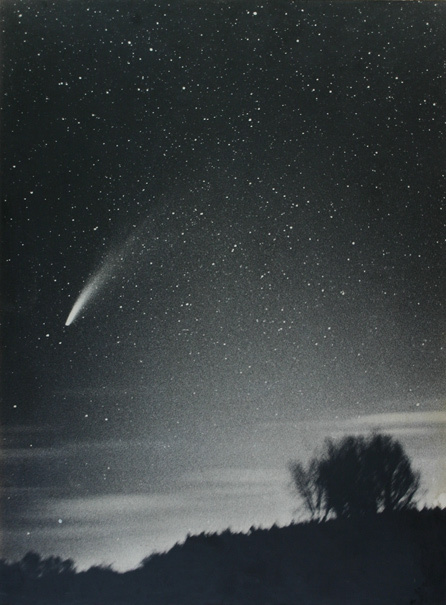 Daniel Verschatse took this 1970 photograph of Comet Bennett near the town of Waasmunster in Flanders (Belgium). I also learned that Comet Bennett is estimated to have a period of 1700 years. 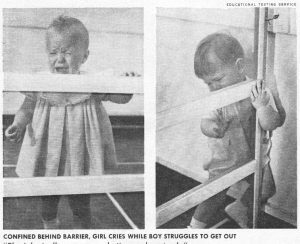 So if it previously appeared in Earth’s sky, it would have been in the third century, about the time that the Roman Emperor Constantine the Great was a baby. Britain was still under Roman rule. In my ancestral Ireland, Cormac mac Airt reigned as High King from his seat at Tara. 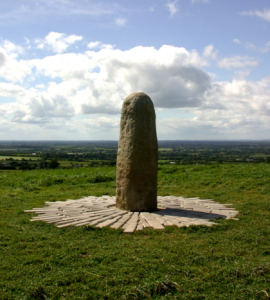 The Lia Fáil (Stone of Destiny) atop the Hill of Tara, County Meath, where the High Kings of Ireland were traditionally installed. Comet Bennett’s next perihelion, or point at which it is closest to our sun, is predicted to be the year 3600. Might it still exist by then, and might there be humans left to see it? Who knows?